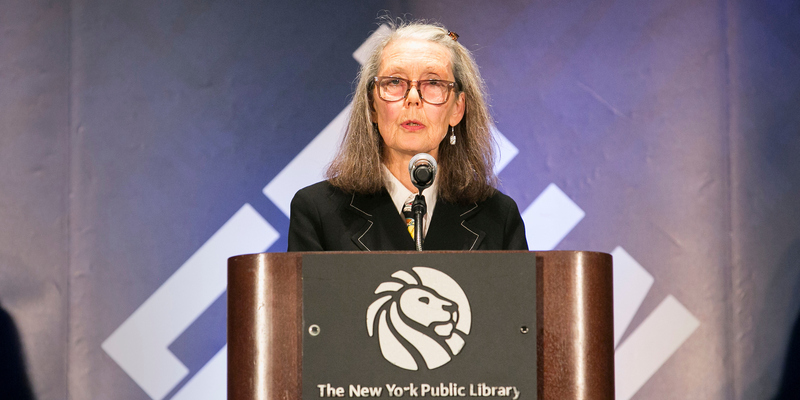 Anne Carson at the New York Public Library on December 7, 2018. 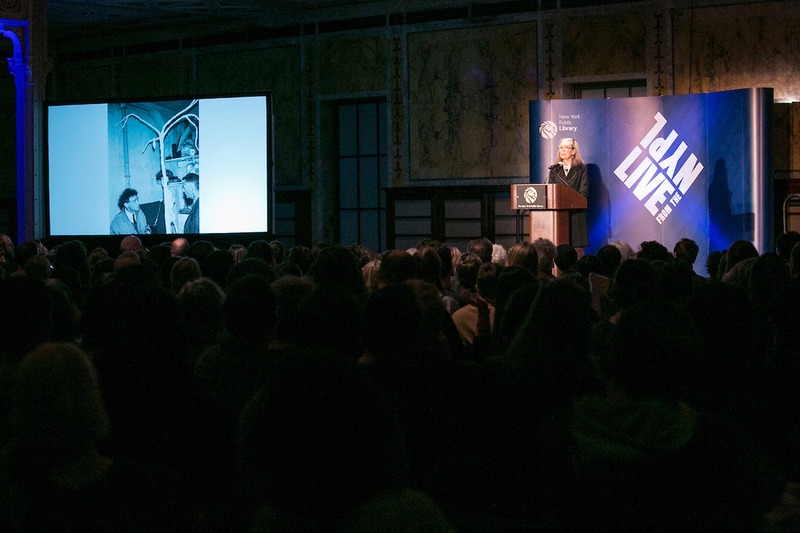 Photo: Sarah Stacke / New York Public Library. WELCOME TO THE DREGS OF THE YEAR, when all we wantor need, given the chaos of 2018is something socially nourishing. And no, I’m not talking about Art Basel Miami Beach. 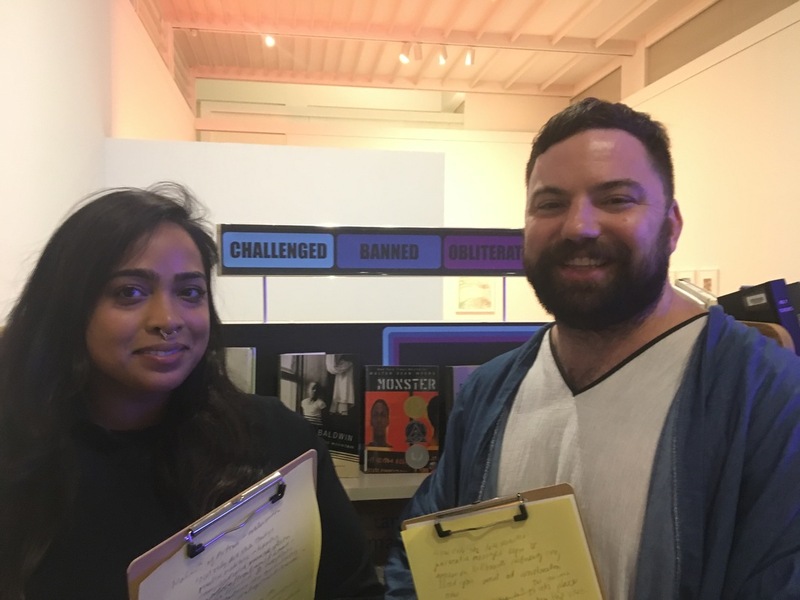 The programming on Saturday began with a “Censorpedia edit-a-thon,” presented by Christina Freeman as part of her UltraViolet Archive, 2018, an installation that gathers partially censored and banned works. In the museum’s theater, Freeman also screened two films from the archive by Oscar Micheaux. Simultaneously, there were conversations about cultural erasure, including Aruna D’Souza speaking with QI 2018 artist Janet Henry and Linda Goode Bryant. And did I mention that Eileen Myles, Tracie Morris, and Thurston Moore, among others, were giving readings of their works? Nora N. Khan and Brian Droitcour. With all this happening at once, it was hard to know what to focus on, and I ended up, perhaps instinctively, in an art-writing workshop. Tucked into a library near the museum’s café is a glass-walled gallery housing the installation for The People’s Guide to the Queens International, 2018. 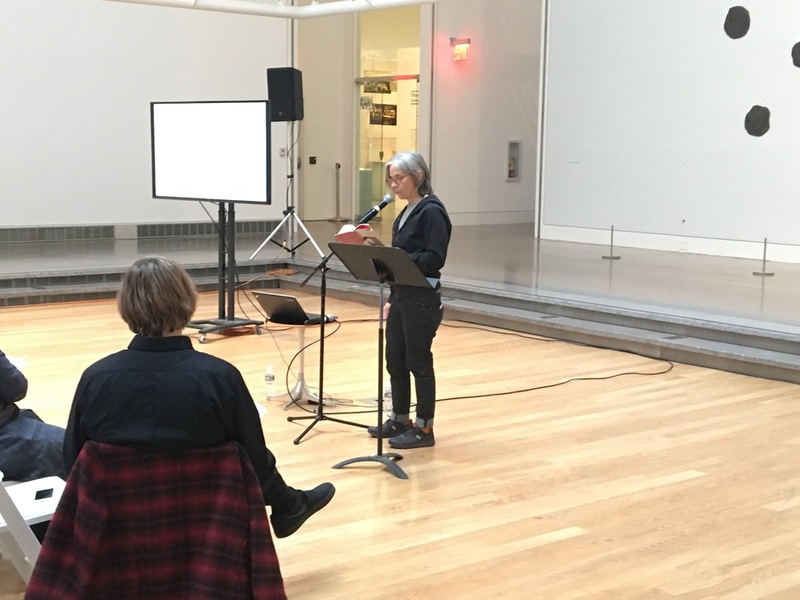 This meta-collaborative project by Brian Droitcour and Christine Wong Yap departs from the possibly terrifying idea that everyone’s a critic—as well as Droitcour’s ongoing interest in vernacular criticism and Wong Yap’s background with participatory events. Led by Droitcour, my group of makeshift critics began with a prompt to interpret artwork in the show as pure data: “Imagine you’re a cyborg and your eyes are a pair of optical scanners . . .” It was tempting to just write down zeroes and ones. Next, we endeavored to write a history of a found object from a work on view, and while I penned my short opus about a Carolee Schneemann catalogue from the UltraViolet Archive, I overheard Myles speaking in an adjacent gallery: “Queens was the lure that got me here.” Turns out they moved to New York to go to grad schoola short-lived stintat Queens College in 1974. And I thought: Oh, Queens was my lure too. The latter, if you don’t know, dealt with Matta-Clark’s project of buying up fifteen micro-parcels of landlittle slivers of gutters and alleywaysfrom the city at public auction in 1973 for twenty-five to seventy-five bucks a pop. “The wild dogs, the junkies, and I used these spaces to work out some life problems,” Matta-Clark once said of them. They were repossessed for non-payment of taxes after he died in 1978 at age thirty-five, and today such “curb properties” are no longer sold at auction. As with everything Carson does, I didn’t want the lecture to end. But thanks to the Grad Center’s video of it here, it doesn’t have to. And that’s my holiday gift to you. Enjoy.